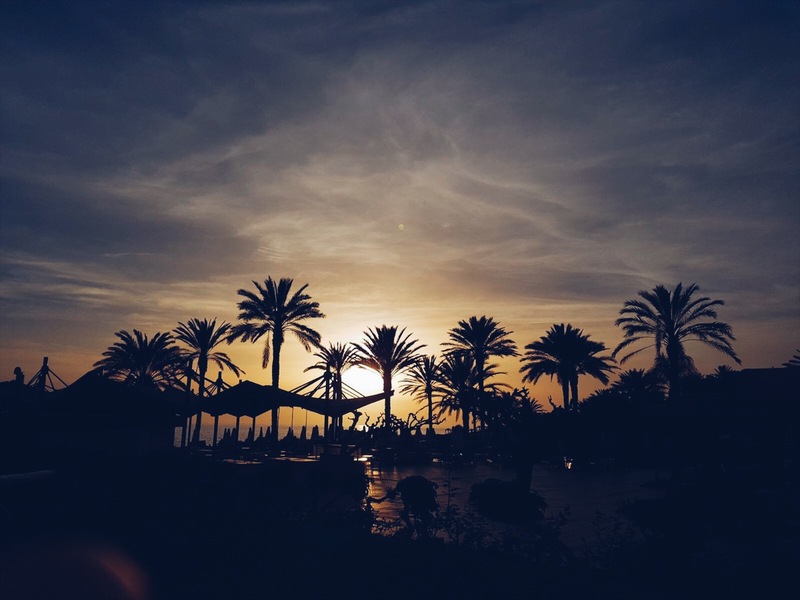 Cyprus has never been on my bucket-list, but when you’re desperate for a serious dose of Vitamin D and some relaxation without travelling too far, you’re kind of limited in your destination hit list. So Paphos it was. Mr Daydreamer has visited Cyprus a few times, twice on holiday, years ago with his family, and another time, more recently, to photograph the army at work on the base there. 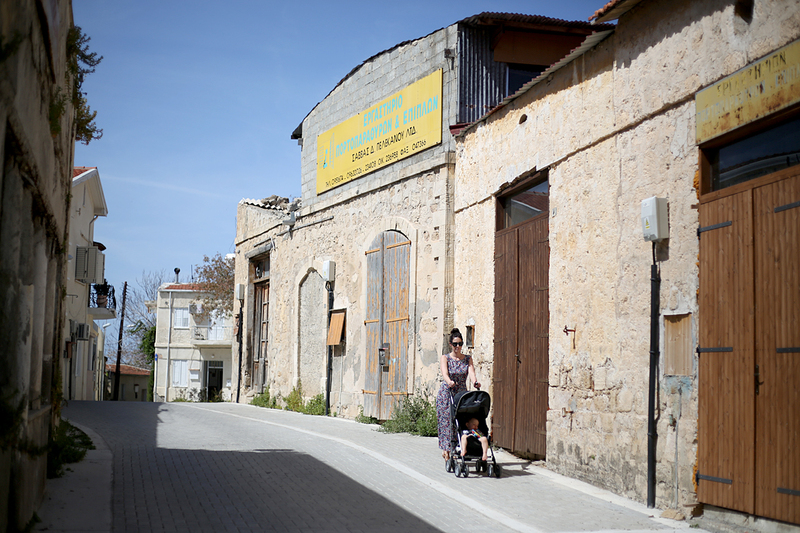 His experience of Cyprus was somewhat limited though, so we were both excited to see what the popular holiday destination had to offer… I’ve listed below what we loved about Paphos, but please bear in mind that we were there to chill out with the baby rather than see the full sights of the island (there are loads of archaeological and historical tourist spots to visit, and they say Coral Bay is the best beach near Paphos – if you can, hire a car to see as much as possible). 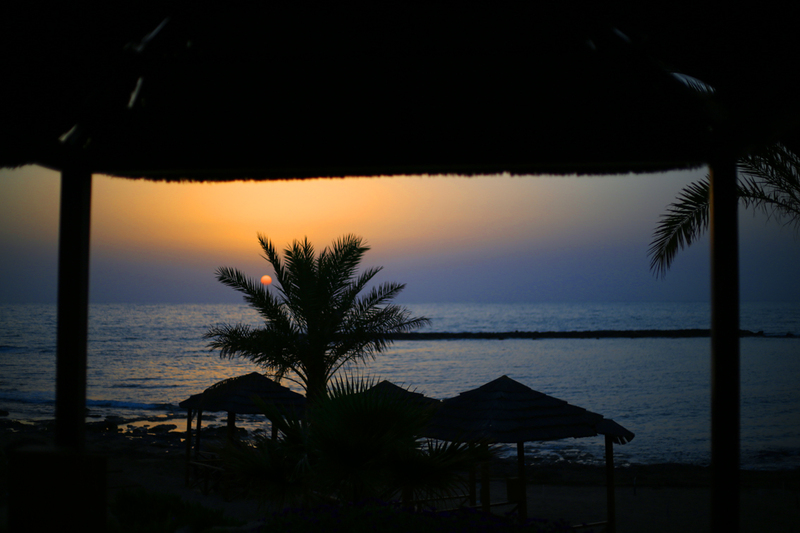 The Cypriot sunsets are spectacular, and we saw many variations during our week. 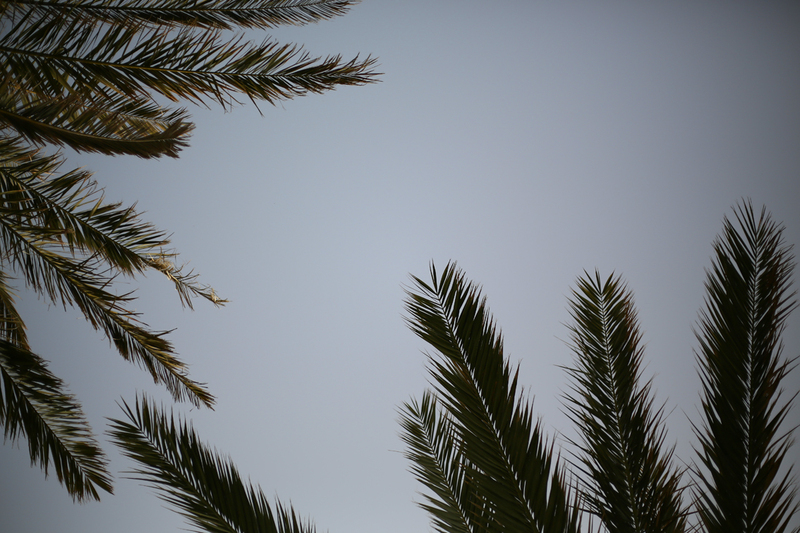 The first one was Instagram-heaven; a millennial pink that faded upwards into a cloudy white sky, the palm trees still visibly green, possibly the cutest colour combination I’ve seen this spring. The second was equally as breath-taking in its vibrancy – golden yellow, it was a bright, spice-y glow that lit the palms from behind, creating the most beautiful silhouette from our terrace. The rest of the week was as gorgeous, ranging from dusky blues to hazy dove-greys. 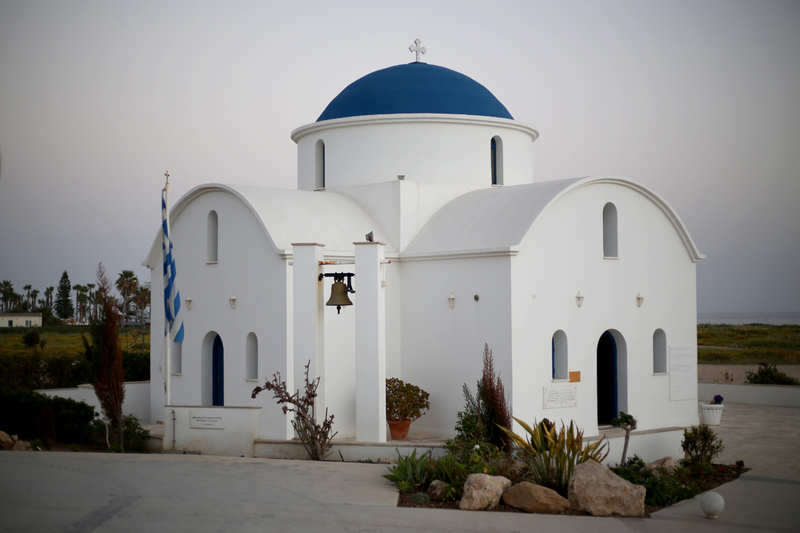 It’s worth taking a trip to Sunset Point, which was around a ten minute walk from our hotel and provided a stunning location to watch the sun set – a white Greek church with cobalt blue domed roof sets the scene, and in front of it is an open, low level stone platform from which you can admire the sunset. You won’t be disappointed, it’s truly special, and you can light a candle at the church if you’re so inclined. I’m not lying when I say I’ll remember those sunsets forever. Our hotel (we stayed at the Athena Beach) was a mile and half out of Kato Paphos (this is where the marina is, while the town is called Pano Paphos), but there was a stone promenade that led us right along the ocean front to the marina. It’s the sort of route that you could run, power walk, or stroll along, so it’s okay for most abilities and we found it fine with the buggy too (we also saw a couple of people using wheelchairs). It was an invigorating walk, but mostly due to the sea air and view of the ocean. Once you arrive at the marina, there are plenty of shops (selling everything from tourist nik-naks to diamonds and sunglasses), but make sure you venture away from the sea front if you want to find some cool boutiques (I reluctantly left behind a super cute wicker basket decorated with brightly coloured pom-poms, and a very chic straw sunhat) and a great supermarket (we didn’t discover it until our last day, annoyingly). There are also plenty of boat trips, and cafes too, but be warned: we wanted to eat a snack at Theo’s which looked so chic with its blue and white nautical themed decor, but the waiter asked us to leave when we ordered only a shrimp salad, a coffee and a soft drink. Apparently you can’t order there for just one person. 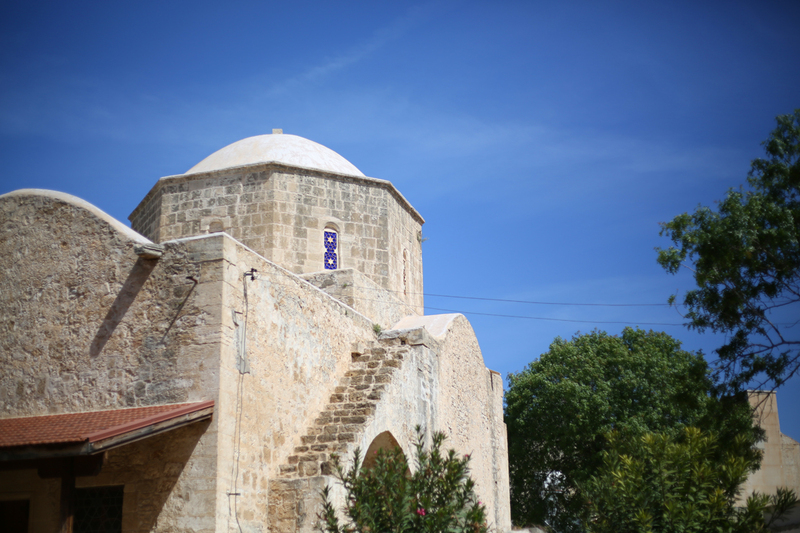 As I mentioned above, Pano Paphos is actually where the town is located – it’s high up on a hill, which provides amazing views over the town and marina and of the ocean. We took a bus up there, mostly because we had the baby with us (where else would he be?) but apparently it’s a pretty tough uphill struggle, so it’s worth considering the bus even if you’re quite active. There is and has been a lot of work going on to modernise the town, with lots of new paving and boutiques popping up – a kind lady in V&V Opticals fixed my sunglasses for me, free of charge, which was both a relief (I love them) and a shame (any excuse to buy another pair). We actually went up to town to check out the market, but discovered it was all tourist ‘tat’ which was disappointing. 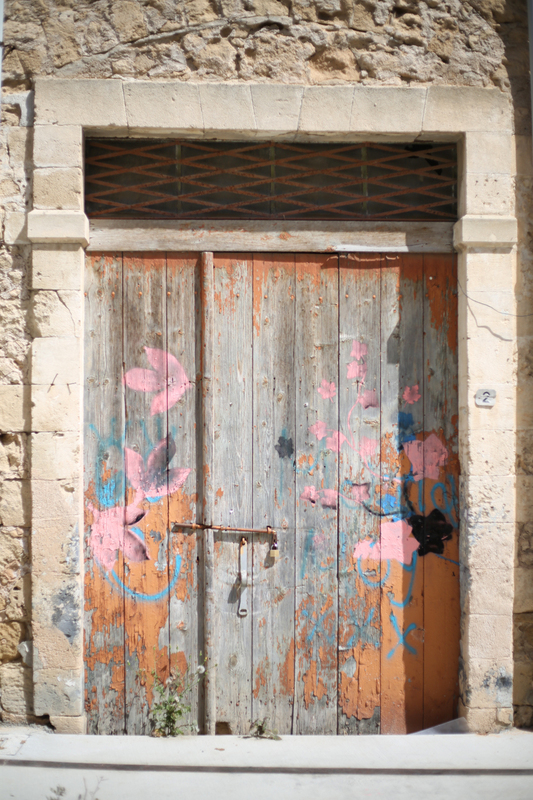 However, we ended up strolling around and found ourselves in old, authentic Paphos which was both interesting and beautiful in its somewhat dilapidated state. It goes without saying that the fruit and veg in the Mediterranean is to die for; the fruit and salads at our hotel were so, so fresh, and the oranges were mouth-wateringly good – we had them every breakfast time and after every dinner (I also ate plenty of lemon meringue pie, it has to be said). The beef tomatoes were absolutely delicious, so delicious that every day we would cut huge slices to top our feta cheese with. Just add a bag of salted Lay’s crisps and what more do you need at lunch time in the sunshine? Aside from a lemon Fanta, that is. Of course, is there anything better than being totally zen with your loves on a beautiful island paradise? That feeling of the hot sun blazing down on your skin (always wear your sunscreen, kids), seeing those tan lines develop, knowing that sea breeze will cool you down every now and then… ah, it’s blissful and it’s so good for the soul. The salty taste of the ocean, that thing it does to your hair (most people look great with beach hair, I look like Monica in Friends), feeling the fine tickle of the sand between your toes… it’s all so wonderfully good for you, and Cyprus certainly has an island vibe in bucket loads, with its rustic jetties, the shady palms and simply gorgeous weather. Thanks to everyone who messaged me on Instagram to tell me their favourite places to go in Cyprus – I’m sad I didn’t have the time (or energy) to find them all. 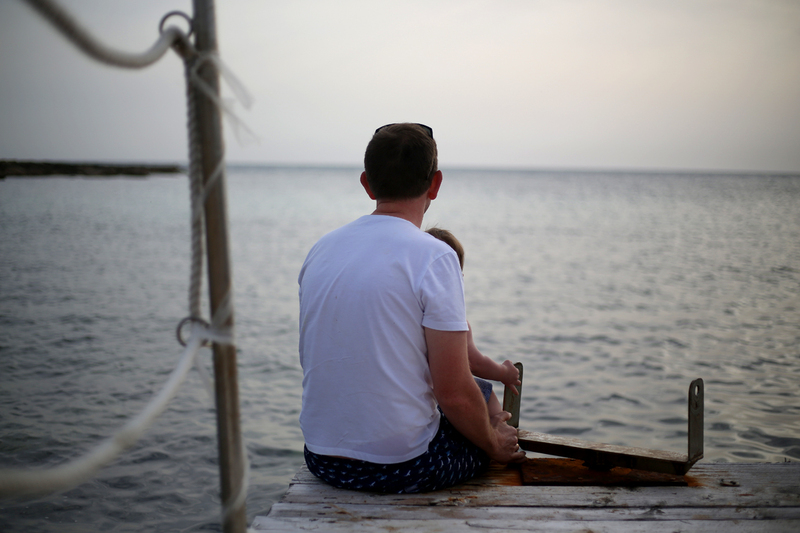 If you’ve been to Cyrpus, what’s your top travel tip for the island? 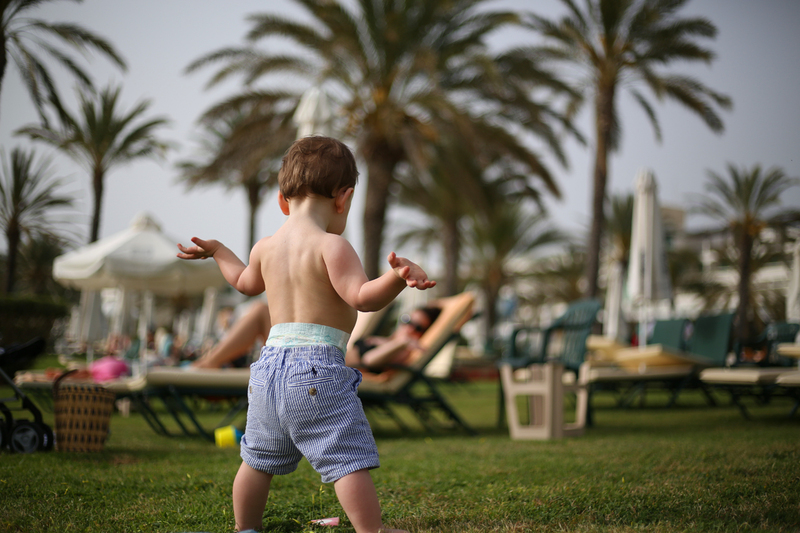 And tell, me – have you booked a holiday this summer? Brilliant. Sums up what I feel about Cyprus. Can’t wait to go back.